The rich and powerful elites who run the world from behind the curtain have a hidden agenda to reduce the world’s population by 85%. One of the ways they are able to do this is through our food supply. 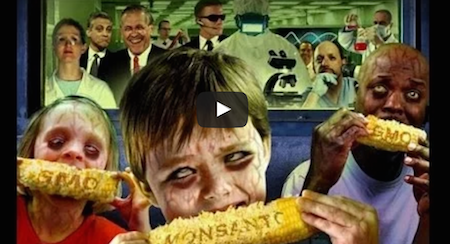 By genetically modifying the food supply, they are able to poison it and use it to slowly kill us. This is their main agenda. The video below explains their hidden agenda. Below is a documentary that proves this theory of mass extermination through our poisoned food system. It’s called FoodInc. Please check it out and share this information with your friends. Roswell Crash Alien Autopsy 1947 Original Footage!